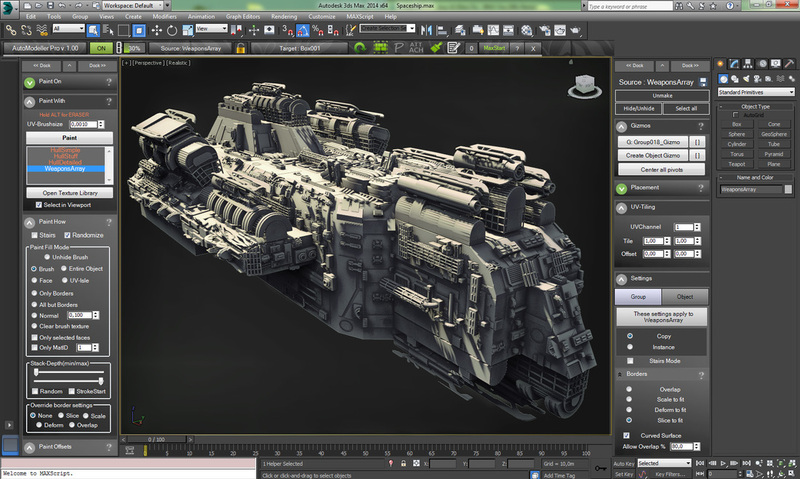 Game-changing modelling tool for Autodesk 3ds Max. AutoModeller Pro is a brand new incredibly advanced, game-changing, multi-threaded plugin for 3ds Max (2010-2019) that allows you to apply or paint a group of meshes as "geometry-texture" onto your existing scene geometry. 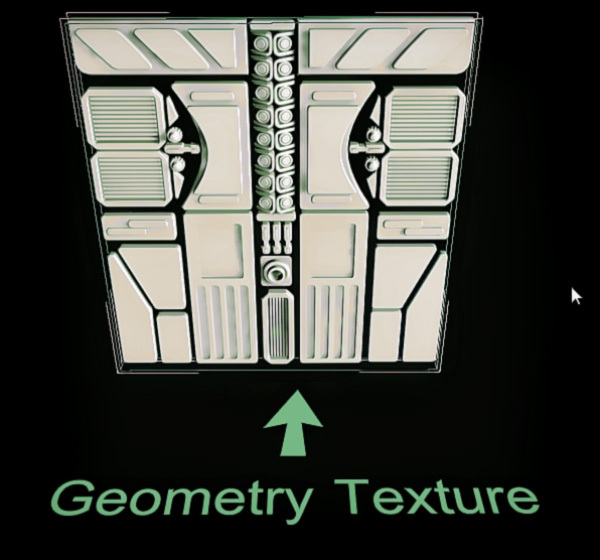 This is similar to displacement mapping, you can control tiling,positioning etc. using UV mapping , just as you would with a regular 2D texture. Depending on the setting the objects will automatically be sliced, soft-sliced, scaled or deformed at the borders and can also be deformed to smoothly wrap around the curvature of the target object. Using AutoModeller Pro you can create impressive architecture just with a few clicks, whether it is a SciFi space station, a fantasy castle or modern architecture, AutoModeller Pro can be used for anything, your imagination is the limit! AutoModeller uses MultiThreading extensively and is capable of deforming high poly meshes in realtime . 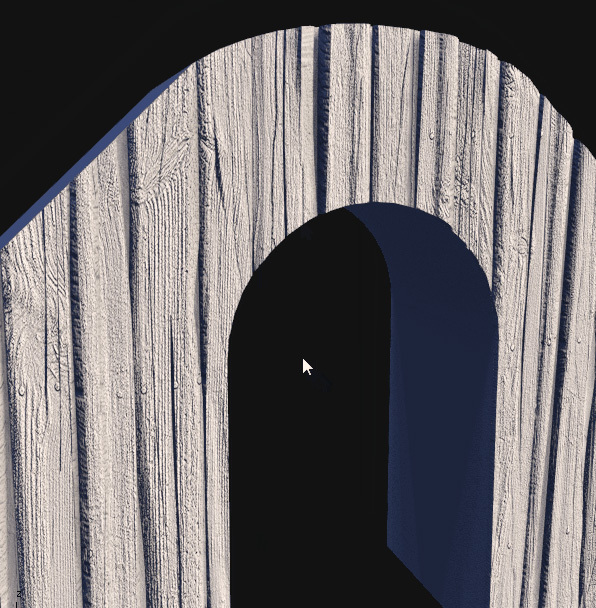 AutoModeller Pro comes with very powerful painting capabilities that allow you to paint any geometry texture on any object in the scene without having to set up anything. Just select the geometry-texture and paint on any object in the scene. You can also combine multiple different geometry textures this way, using a powerful replacement-brush any previously painted objects will automatically be replaced when you paint over them. 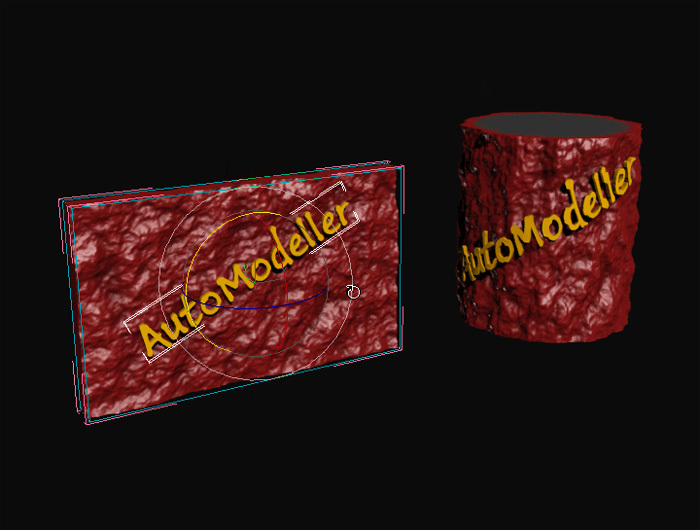 AutoModeller Pro is cabable of automatically deforming and slicing high poly meshes at the borders of any target object, which is an incredibly powerful modelling tool. Also the software is capable of deforming high-poly meshes to fit onto any surface including curved surfaces such as cylinders in realtime. 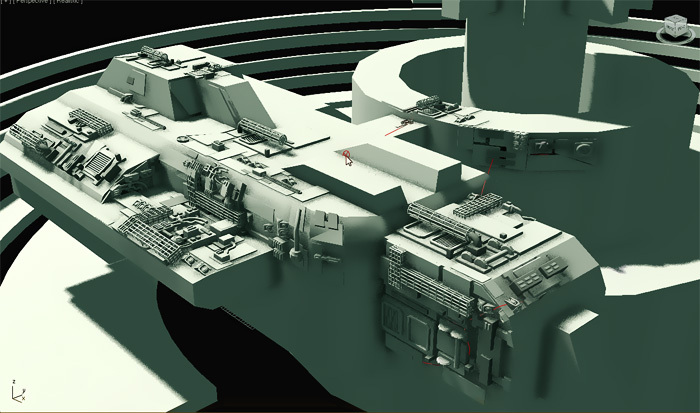 Using the AutoModeller Pro Preview Mode you can build huge scenes, with this mode activated any results of objects you are not currently painting on are automatically hidden, this way you can build massive scenes (until you run out of RAM). The following video illustrates this functionality on a scene with 27 million unique polygons (no instances have been used here). AutoModeller Pro is capable of automatically deleting any previous objects prior to scene-saving and you can regenerate them with a single click once you reopen the scene, this saves both disk-space and improves loading times drastically. To maximize performance AutoModeller Pro fully supports instances and it also comes with a multi-threaded Attach-Mode which allows you to quickly convert any generated mesh into a proxy object which you can then use to as a painting object to create an even bigger scene. AutoModeller Pro is embedded seamlessly into the 3ds Max user interface and the windows can be dynamically docked and undocked with a single click whenever you're done using them, so that they are not occupying unnecessary space on your screen. There are rarely any big innovations being made to 3D modelling software these days and despite new versions being released each year, they rarely bring any signficant changes or improvements. We consider AutoModeller Pro to be a very imporant, ground breaking technology and a worthwhile investment for any serious 3D artist. So make sure you don't miss out on a game-changing tool and try the demo version now !